Subaru is to show off its impressively improved new Outback all-wheel drive estate at the Geneva Motor Show, along with the upcoming Levorg, which is effectively an estate version of the Impreza. Neither of the cars is new, with both having appeared at previous motor shows. However the cars on the motor show stand will be in European production spec. The Outback is available in the UK now and we’ve reviewed it already – click here to find out what we thought. 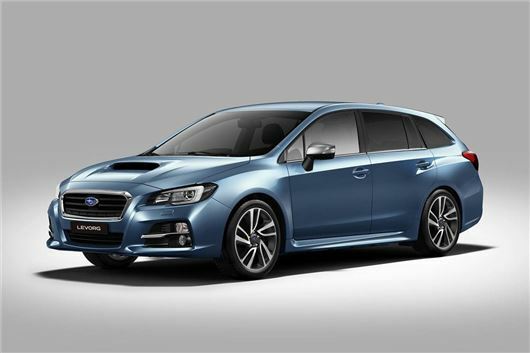 The Levorg is due in the UK from Autumn 2015, though pricing and specification is to be confirmed. It’s tricky to estimate a price, since it depends on what level of equipment Subaru chooses to offer, but expect to pay upwards of £20,000. Above HJ article link takes you to another HJ article that is misleading - the link tells us there is a 2.5 litre Petrol engine - there has not been a petrol Outback in the UK for about 2 years!!! There will be in a couple of months though, it's being reintroduced with the new Outback. "The latest Boxer engine can be found in the all-new Subaru Outback, which goes on sale in the UK from 1 April 2015 with a 2.5-litre naturally-aspirated petrol engine and a 2.0-litre turbo Boxer diesel"